The American Jewish community is always worried about authenticity, and much of this anxiety comes from the lack of a Jewish language. But an American Jewish language does exist, even if beneath the surface. In this talk, novelist and literary scholar Dara Horn explores the role Hebrew can play in a living contemporary American Jewish culture, as she has experienced it as a reader and as an American writer. 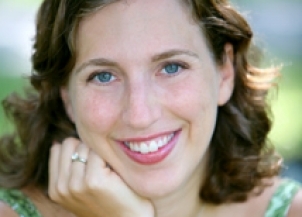 Dr. Dara Horn received her Ph.D. in Comparative Literature from Harvard University, focusing on Hebrew and Yiddish. She held the Gerald Weinstock Visiting Professorship in Jewish Studies at Harvard and has lectured at over two hundred universities and cultural institutions throughout North America, Israel, and Australia. Chosen by Granta magazine as one of the best young novelists in America, Dara Horn has won several literary prizes, including the National Jewish Book Award (for In the Image in 2003 and The World to Come in 2006) and New York Times Editors’ Choice (for The World to Come and All Other Nights). Her most recent novel, A Guide for the Perplexed, was published by W.W. Norton in September 2013, and was selected as one of Booklist‘s Best Books of 2013 and was longlisted for the Carnegie Medal for Excellence in Fiction. Horn is also the author of a best-selling non-fiction Amazon Kindle Single, “The Rescuer,” which follows the peculiar life and legacy of an American Oskar Schindler named Varian Fry. This talk is free and open to the public. A kosher reception will follow in the Walker Ames Room. Learn more about events at the Hebrew and the Humanities Symposium on the Symposium webpage.